Luis has recommitted to the club after his 1st season as the head coach at LMFC which saw our first team set several club records including- most goals scored in a season, least goals conceded in a season (2nd best in the league), highest placed finish, most points in a season. Luis heads into day 1 of preseason with the core of the squad already committed to him and the club for 2019. Michael was the captain for the reserves in 2018 which saw them go 1 game shy of the grand final. 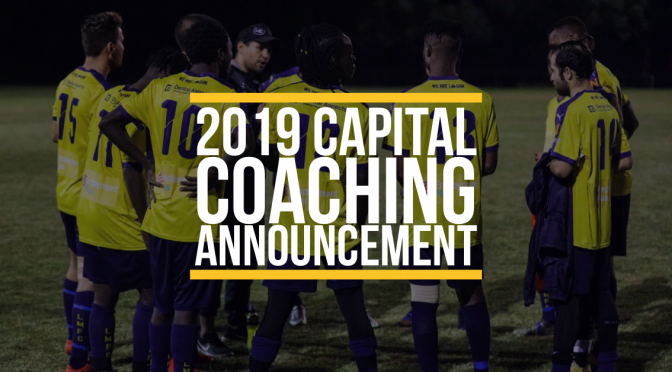 A natural leader and a strong presence in the change room, Michael will guide our under 18 academy and help discover and develop the next lot of LMFC stars as well as assist with training for the capital teams.